Over the past year, I’ve gotten really into sewing clothes. Mostly kid/baby stuff, but I’ve done some adult pieces as well. In this guide, I’ll attempt to outline some of the tips and tricks I’ve learned over the past year, and I’ll break out any topics of particular length to their own posts. Do not use woven fabric for a pattern designed for knit! It will come out too small, and probably tear at the seams if you manage to fit it on. Patterns designed for knit fabrics often have some built-in negative ease, which means they’re expected to stretch a little. Think of something like tights; they look super tiny, but stretch a lot when you put them on. If you used a pattern for tights with something like flannel, you’d have a bad time. Not all fabrics are created equal! The first time I ordered (cheap) fabric online, I was looking for some grey t-shirt-like material. I found some grey “cotton jersey” on fabric.com and ordered a lot of it. It came back so thin, it was see-through, and didn’t have any stretch recovery; it would get saggy immediately if I used it for a t-shirt. 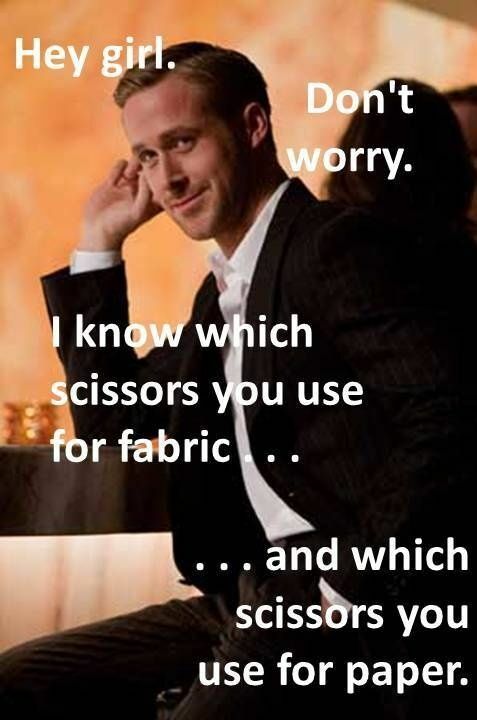 Point being, there’s a lot more to fabrics than their name. This doesn’t mean don’t order fabrics online, but it does mean do so with caution, and either from shops you know and trust their quality, or just get a swatch or small amount until you’re sure it’s what you want. Also, if you’re sewing a t-shirt for instance, you can often use the same material you used for the body of the shirt for the collar. You don’t have to get “ribbing” unless you want to, or unless your fabric has poor stretch recovery. I recently got a bunch of ribbing to use as edge binding on baby clothes, so I’ll let you know how it goes. I will go into far more detail about choosing fabrics and the differences in different knit fabrics in a future post: Knit Fabric Types. Next up would be what you need to start out with. All you really need is a sewing machine. You’ll want to get some “stretch” needles though for knit fabrics; regular or “universal” needles may skip stitches on you. The first thing I started doing was sizing down my own t-shirts (usually XL freebies) to a size that would fit me. To sew knit fabrics with a sewing machine, all you need is a stretch stitch. Most machines have one, check your manual. A triple stitch is ideal, but it can be done without one. Once I started sizing down my own shirts to kids size for Amy is when I got more serious about how my seams looked. If you prefer your seams to look more finished and professional, a serger (also called an overlock) is extremely helpful. It makes sewing knit fabrics so quick and easy, you’ll wonder how you ever did it without one. There is a small learning curve to threading it, and to understanding how your seam allowance works (there’s a blade that cuts off the excess past your seam). I use a serger now for all of my internal seams (everything except hemmed edges). If you’re wanting to go a step further and have a finished hem like ready-to-wear (or RTW; store-bought) garments have, you’ll need a third machine, a coverstitch. This allows you to do nice top seams that stretch. I don’t have one of these yet, but probably will eventually. 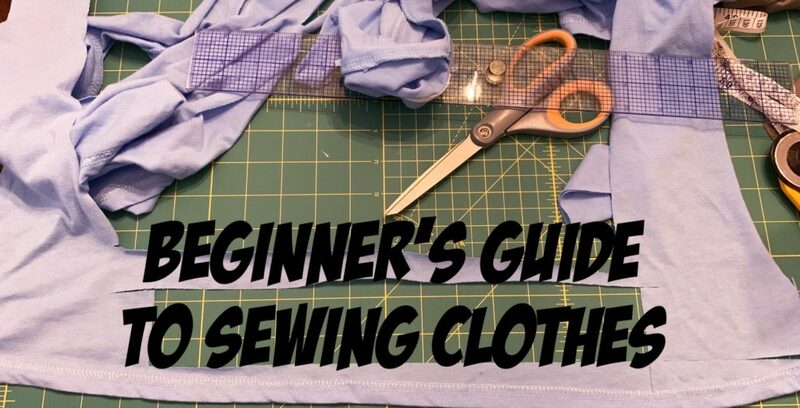 If you want the look of a coverstitch without a machine, you can kind of get away with it by using a double needle on a regular sewing machine. This is what I’ve been doing; and the double needle isn’t as scary as it looks. Check out some youtube videos on it, and check your machine’s manual to find out if there’s a specific way to thread for a double needle. If you find that your seams are popping even with a stretch stitch (because your toddler tries to stick their head in the arm hole, for instance…) you can make your seams even stretchier by using wooly nylon in your serger loopers (or bobbin, if using a sewing machine). You don’t have to pin; use clips! I saw all these people using these magical clips and I first thought, “What’s the point? You can just pin it.” Until I bought some, and WOW. So much faster, easier, and more secure than pinning, with no chance of blood! Highly recommend these. You’ll need a good pair of scissors, and I recommend using a rotary cutter and mat. Don’t scrimp on these, having good quality tools here will save you time and frustration. Wait until there’s a good sale, or you have a 40 or 50% coupon to use for them. I use an OLFA rotary cutter and mat (the green one). Get as BIG of a mat as you can; I have a 24″ x 36″ one and for adult clothes, it still isn’t as big as I’d like. Also, make sure it is self-healing; you might assume that all mats are, but they aren’t, and if you use one that isn’t you’ll end up with rough cuts on your fabric wherever it skips over a gouge in your mat. If you’re careful with your blades (don’t cut over paper, don’t press harder than you need to) and get good quality blades they’ll last a while, but if you notice your cuts aren’t going through cleanly, you’ll need to replace your blade. It will also be super helpful for cutting bands and straight lines to have a quilting ruler; I have a 2″ x 18″ one that works great. Some people use pattern weights to hold their pattern/fabric in place while they cut, but I haven’t needed to; I just keep one hand holding the pattern in place, and the other on the cutter, and it’s worked out fine. Maybe if I was using only scissors, I’d need them. Here’s the deal with fabric. Nice fabric is AWESOME. Nice to sew with, lovely to wear, can get wonderful prints… and it’s expensive. Sewing clothes is definitely a hobby; rarely will it be cheaper than buying clothes. So, with that in mind, use JoAnn’s or your local craft store for “cheap” fabric as you’re learning. Always, always, always prewash your fabric! As soon as I bring fabric home, or get it in the mail, it goes straight into my washing machine. This way, it’s ready to go when I want to sew with it, and I don’t have to remember to prewash it when I’m excited to start a project. I always wash and dry it on the settings I will use once it’s made into clothes, so if it’s going to shrink, it does it upfront. 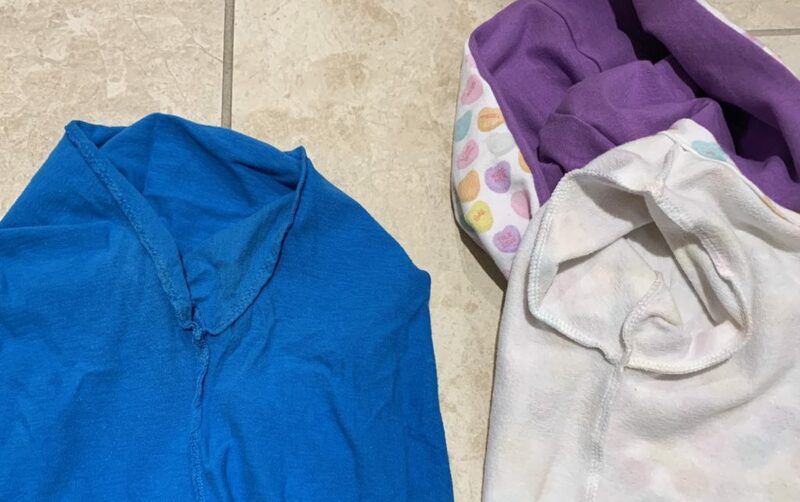 ESPECIALLY if you’re using JoAnn’s “doodles” brand (kid-print cotton spandex) be sure to buy extra and prewash it two or three times; it will continue to shrink (my yard was down to 27″ after wash/dry #3!). If you don’t prewash and the fabric shrinks after you’ve sewn it into clothes, womp. Have fun gifting it to someone smaller than you intended it to be for. PurpleSeamstress – Really inexpensive, good quality cotton lycra solids (save your fancy prints for sleeves/small cuts, and pair it with solid colors to make it last longer). Also has a good selection of double brushed poly. Jumping June – Getting into some more expensive European stuff here, but the prints are WONDERFUL and they have a great selection of ribbing and cuffs. If you’re up for a gamble, I’ve never been disappointed with a mystery scrap pack or seconds box from them. So, so nice. Lillestoff – My latest find; again, amazing quality. Site is in German with a so-so translation, haha. But their Facebook group is great, and has an order form on the Facebook group to get cheap shipping (instead of paying the full international cost from their website). So Sew English – Huge selection; good quality. Their mystery box is more of a gamble, because their inventory is so much more broad. When my mom used to make clothes, she would get patterns from the racks at fabric stores. They still have these, but I always found it hard to find ones that looked fashionable. Now, there are TONS of online pattern shops, and all have great PDF patterns you can print from home and tape together (or order from a copy shop if you prefer it to be plotted). The neat thing about these PDF patterns is you can have it only print the lines for the size (or sizes) you want, instead of having the lines for all sizes, which saves ink/toner and confusion. If you don’t have a cheap black & white laser printer, I highly recommend this one. Don’t go by your RTW size; always take your measurements and check that specific pattern for sizing. Definitely the coolest thing about making your own clothes is that you can grade between sizes. Have a M bust and XL hips? Print both lines on your pattern, and grade between them by transitioning from one line to the other around the waist. Now you don’t have to settle for a L that is too big in one place and too small in another. Or, have a toddler with a 4T belly, 2T height, and 18 month hips? 🙋‍♀️Now you can have a waistband that fits, without having to cut 4 inches off the legs. P4P has a grading tutorial available here. 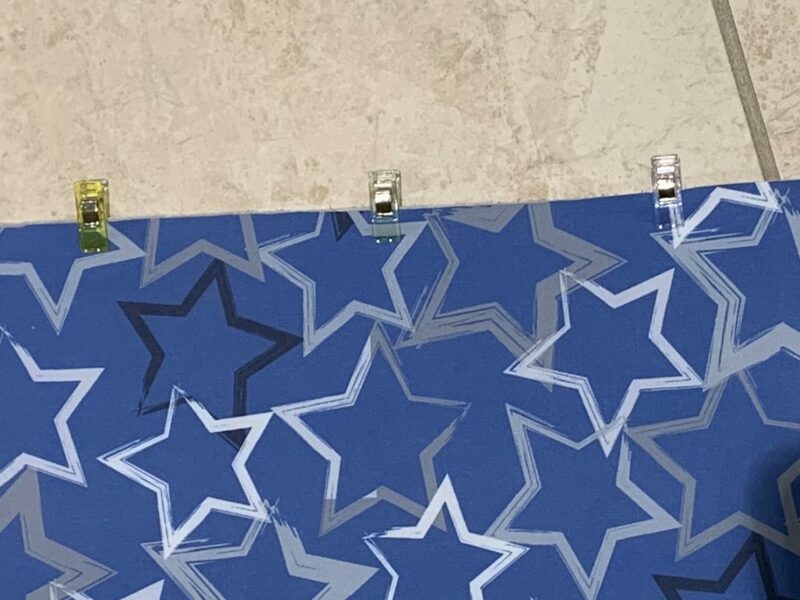 When taping pattern pages together, overlap pages and hold it up against a window to line it up (instead of cutting the border off the pages). Here’s a list of my favorite pattern shops. Worth clicking around them; most have some really good free patterns as well. Some you have to join their Facebook group to get the free pattern codes. …and many others, but these are the ones I use the most. I highly recommend joining some pattern company or fabric shop groups on Facebook; you’ll get to see lots of examples of projects to get ideas, as well as lots of helpful tips and problem solving from the community (and a heads up for sales!). Everyone is very supportive and beginner-friendly. If it’s overwhelming your feed to join all of these, you can turn them off of your feed and just search them when you’re looking for something specific. (The group search function is surprisingly helpful!) Also, I recommend saving pictures (and noting what pattern/fabric it was) when you see something you like. Saves you the trouble of “now what group did I see that in, again?? !” searching later. I made a “Things to Sew” album on my phone for them. 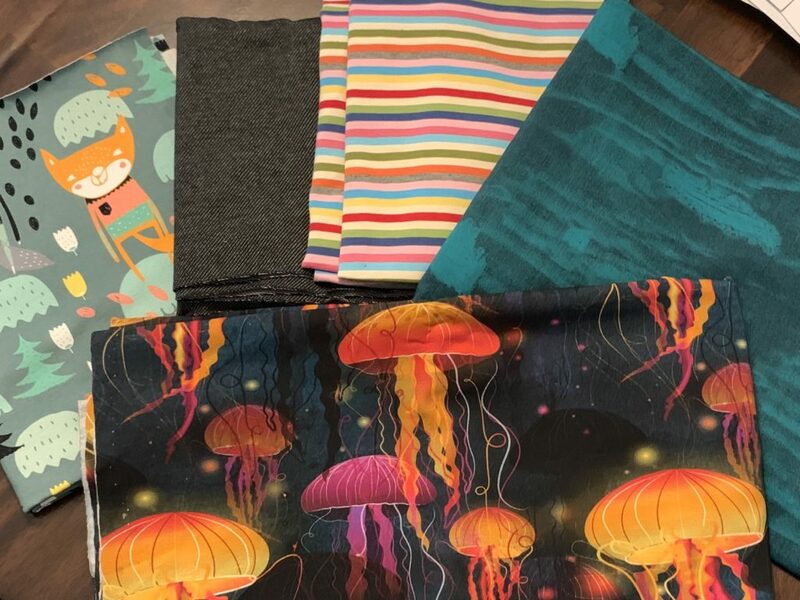 my lillestoff – organic fabrics and more – The Facebook group I mentioned to get discounted shipping for their fabric. Also, some of the cutest kids stuff gets posted here. Add “sew”, “serger”, and “muslin” to your phone’s dictionary/text replacement so it stops making auto-correct fails. That’s all for now! This post will probably be a work-in-progress as I think of tips to add. As always, feel free to comment or message me if you have specific questions, want a pattern recommendation, etc. I probably won’t add clothing to my photo gallery on this site (being real; one less thing to maintain) but feel free to follow my sewing instagram @texastrumpet to see what I’m up to!